Windows Phone assistant ready for the big show? From Halo to Windows Phone to Windows 9? Microsoft is planning to integrate Cortana - the voice-powered digital assistant from Windows Phone 8.1 - within its next major desktop OS release, according to reports on Monday. Following earlier word from Neowin claiming the Cortana is 'up and running' inside of Windows 9 test builds, the site now says it is operational and performance on desktop is improving. Neowin also claims the tool is being targeted for the final release of Windows 9 (currently codenamed Windows Threshold), expected in spring 2015. The reports are corroborated by The Verge, whose sources claim the tool is gradually getting better every couple of weeks along its journey to an eventual roll out within Windows 9. 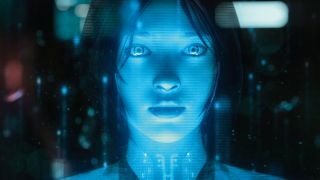 So what form will Cortana take within Windows 9? Well Neowin says it is a "simple app that opens up the personal digital assistant where you can then either type in your question or ask verbally inside a smallish window. It's not a full-screen experience like you see on Windows Phone." However, it's clear that could alter significantly between now and Windows 9's release date. Microsoft is expected to launch a preview release before 2014 is out. The reports follow speculation earlier this month hinting that Siri may make the move from iOS to the Mac OS X desktop software, based on an Apple patent filing from 2012. Are we all set for the Siri vs Cortana battle to move to the desktop arena?